what he sent away always came home to him. Tho she begged for a healer, she got what she got. With fifty snuffed candles the room stayed dim. and the scream that whimpers before it goes. of impossible truths, of believable lies. and one last mistake, to make a girl gone. Bjorn Rudberg (Bjorn Rudberg's Writings) asks us to play a game which evolves a sonnet from given end-rhymes. I have done what I could, though I am not much of a sonneteer. I had no luck with the words, 'glade' and 'tones' so they have been altered--apologies. on the back of a riot. her funnels down the road. 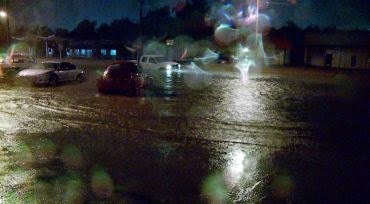 It's been raining here for forty days and fifty nights--or so it seems. Listening to rain hit the walls as I write. The ingenious and inventive mind of Shay Simmons (Shay's Word Garden) sends us off into the endless possibilities of lists. Mine is pretty self-explanatory. Process notes: All the animals, birds, butterflies and plants named here are drawn from (wikipedia's) lists of extinct species. 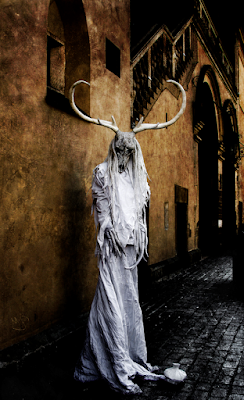 Horned woman, artist unknown, via the internet. No copyright infringement intended. your face so naked and still? Karin Gustafson (ManicdDaily) offers this weekend's challenge, to write to the ringing of chimes, connect the dots of interconnection, or in some other way address Donne's telling lines about how no man is an island. This is what I got, a slap from the past, as it were. Despite the title, the mudslide mentioned is not a physical one. We have storms heading in again this evening and my computer will be off, so I may be unable to respond or visit till, the weather gods willing, tomorrow. 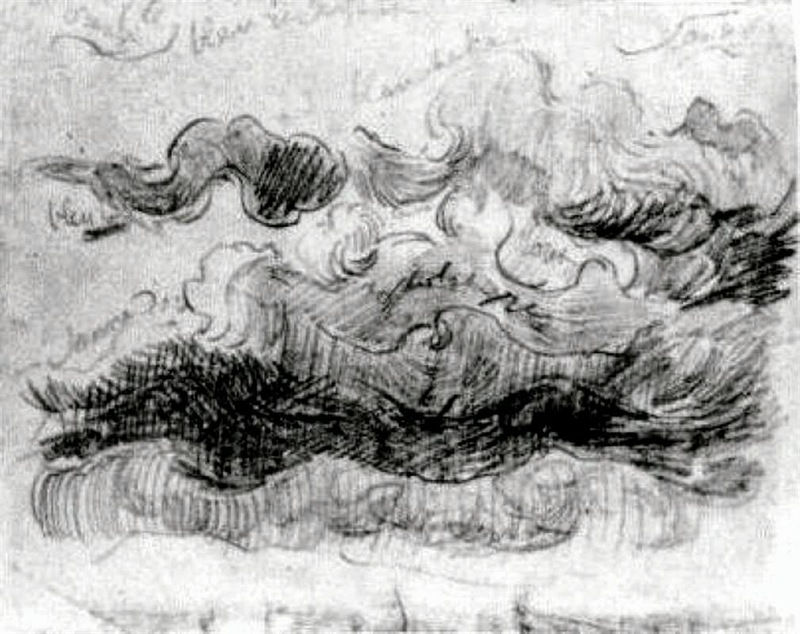 Image: Sketch of Clouds with Colour Annotations, 1890, by Vincent Van Gogh. lesson of a broken school. a god who was so much smarter. seed of your mirrored killer. of your trivial collateral fate. Process Note: A krater is a large vase which was used to mix wine and water in Ancient Greece.